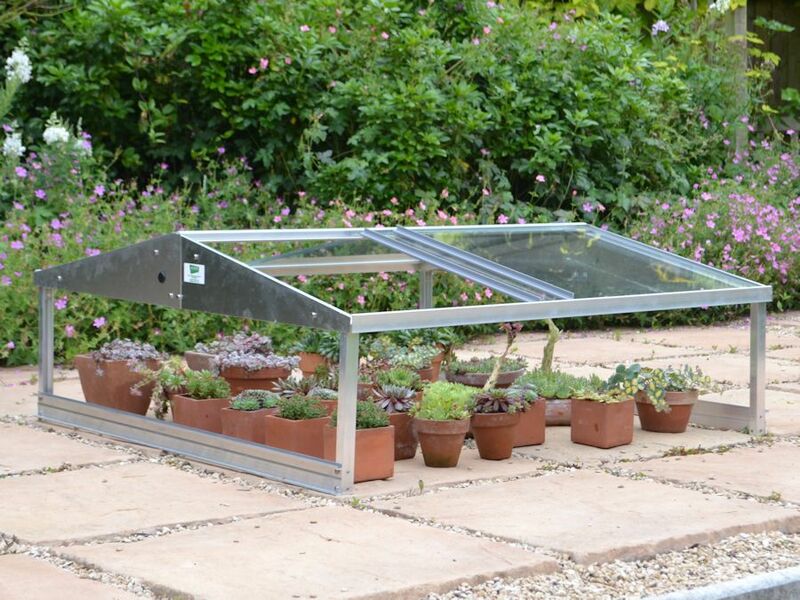 New 4ft x 4ft Alpine Frame for sheltering alpine plants. This Alpine Frame is designed to stand directly on the patio, soil or on a raised base. The Alpine frame is glazed in toughened safety glass – top panels slide for easy access, but the absence of side glass ensures there is free flow of air at all times. 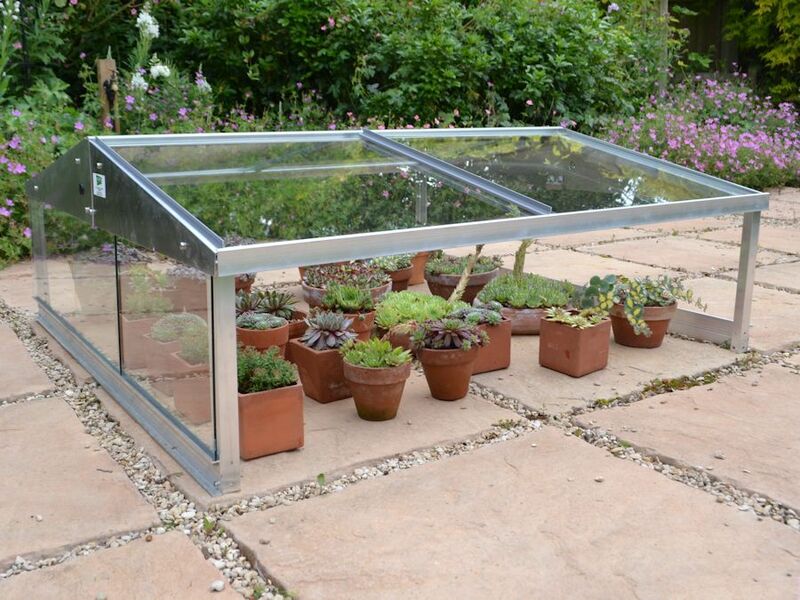 For very exposed areas there is an optional end glass kit, which provides glass at both ends but still leaves the sides open. Aluminium structure with 25 year framework guarantee. Shown with optional end glass. With standard delivery pay 4 monthly payments of just £43.25 – more info. Video Guides, FAQs, along with tips and tricks from our years of expertise.